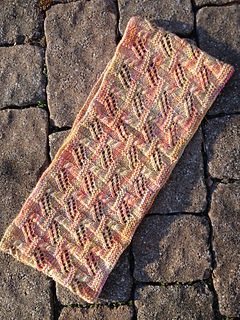 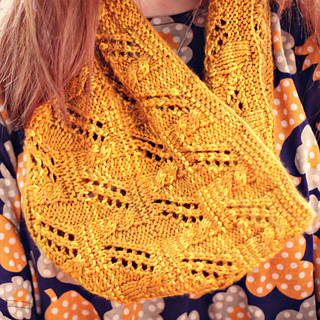 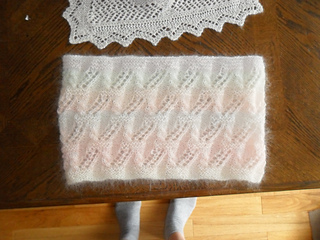 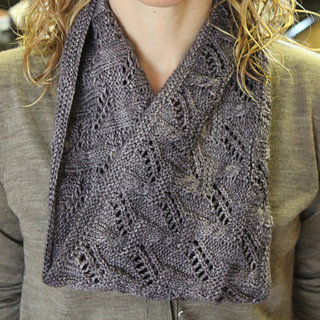 An interesting textural mix of cables, eyelets, Garter stitch and Revserse Stockinette stitch make up Joselyn Cowl. 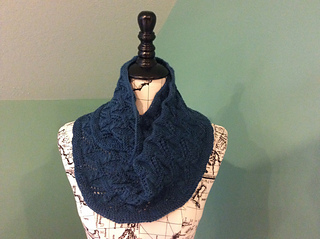 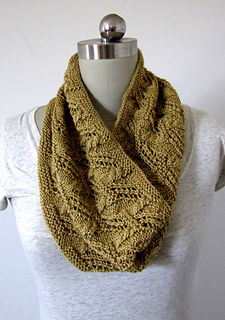 Josleyn Cowl is worked in the round from the bottom up using a luxury sport weight yarn with an alpaca and silk blend. 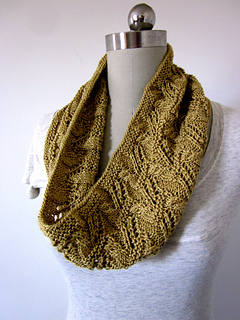 Circumference and length are easy to customize. 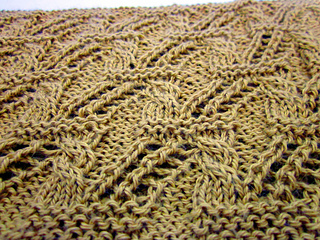 Stitch pattern is charted.